Ski through breath-taking miles of snowy white slopes bordered by deep green fir trees before enjoying a well-earned hot chocolate laced with brandy in one of the many après- ski bars; sample one of the local gourmet specialities such as a triple cheese fondue or a delicious creamy tartiflette – potato gratin made with local reblochon cheese, onions and bacon washed down with the local wine; enjoy a summer hike through the stunningly beautiful Vanoise National Park and drink in the spectacular mountain views before relaxing over a leisurely picnic lunch. Located in the French Alps in the eastern Savoie right next to the Italian border, with excellent air and railway links including a direct Eurostar service during the ski season, Val d'Isère property offers investors the opportunity to buy property in what is now considered to be the world’s premier ski resort. Originally a small alpine farming village, Val d'Isere has grown over the years and is now part of the Espace Killy sharing 300 kilometres of ski slopes with its sister resort of Tignes offering some of the most seriously challenging on and off piste skiing in the Alps. With an altitude of over 3,000 metres Val d'Isere has snow for a good part of the year and is a haven for the serious skier. However, despite its growth Val d'Isère has not lost its village feel and sense of tradition and the centre in particular is a pretty mixture of Savoyard charm with an abundance of chic boutiques, stylish cafés and restaurants offering both traditional Savoyard cuisine through to Asian food and pizzas. Val d'Isere is not just a winter resort – summer is just as popular. Hiking, mountain biking and horseback or donkey trekking as just a few of the summer pursuits on offer. Located at the entrance of the Vanoise National Park you can choose one of the many hiking trails from a simple one hour stroll to a three day expedition taking in glaciers, valleys and spectacular mountain vistas. 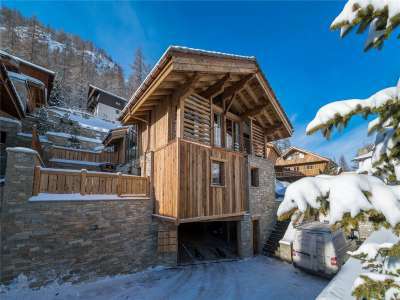 Due to its popularity both in winter and summer, Val d'Isere property is an attractive investment and crucially there is a strong rental market which remains high all year around. There is a wide range of Val d'Isere property for sale to suit all tastes and budgets both in the centre of the village itself and also in one of a number of the small pretty hamlets that run along the valley floor which include Le Cret, Le Chatelard, Le Laisinant, Les Carats, Le Joseray and Le Legettaz. 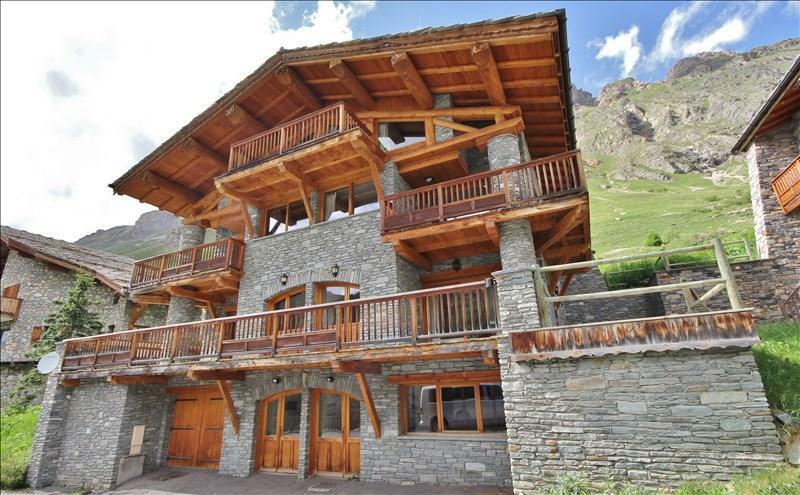 Val d’Isère property ranges from modern apartments right in the centre of the village, mountain-side traditional chalets and luxury apartments with mountain views. A recently renovated two bedroom apartment in Le Cret, for example, with a large balcony, underground parking and ski storage would cost around 435,000 EUR. Alternatively a light and spacious two bedroom duplex apartment in a new development within walking distance of the centre of Val d’Isere with a large balcony offering mountain views is on the market for 820,000 EUR. For something more traditional how about a beautifully renovated four bedroom 18th century chalet in the heart of Val d’Isere; combining modern luxury with traditional charm the property has vaulted ceilings, wooden floors, stone fireplaces with modern kitchen and bathrooms and balconies with westerly mountain views and a price tag of 4.5m EUR. For the ultimate in luxury there are a number of fabulous chalets on the market oozing Alpine luxury living and style; designed with antique wood and stone interiors, underfloor heating, floor to ceiling windows with panoramic mountain views and complete with indoor swimming pool, Jacuzzi, sauna, home cinema, private parking, these luxurious properties start at around 10m EUR. Whether you decide to buy a modern apartment with sun soaked terrace and panoramic views or a luxury and secluded traditional wooden villa gazing out across the snowcapped mountain peaks, Val d’Isère property provides investors with the perfect opportunity to buy property in the world’s premier ski resort. The combination of style, fabulous scenery, unparalleled skiing and buzzing nightlife combined with its charming Savoyard heritage and tradition make Val d’Isère a perfect holiday and property investment destination.